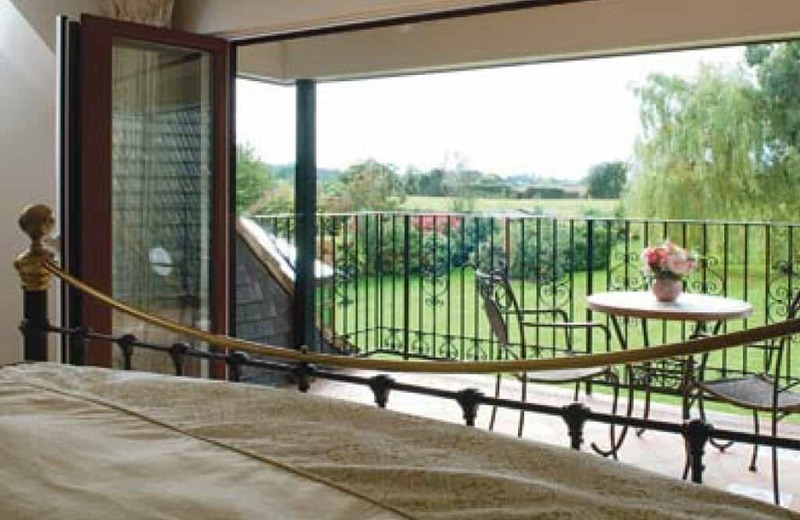 Bi-folding doors transform your home and the way you live your life; relax in stylish open plan living areas or enjoy a stunning panoramic view from your bedroom. You will feel like you’re living the outside inside by opening entire facades in your home and make the most out of a beautiful garden. Any aspiration is possible with a bi-folding slide door. These beautifully designed, versatile doors are suitable wherever you want to transform your home; living room, bedroom, kitchen, conservatory. The choice is yours. 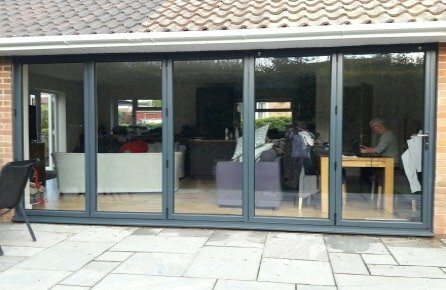 The modern aesthetics of a slide folding door will add a touch of finesse to any external aspect of your home. When closed, our bi-fold complement your home with a beautiful glass facade with attractive curved characteristics that are pleasing to the eye. Fold the sashes back to give a stunning opening that draws the exterior ambience into the comfort of your home. 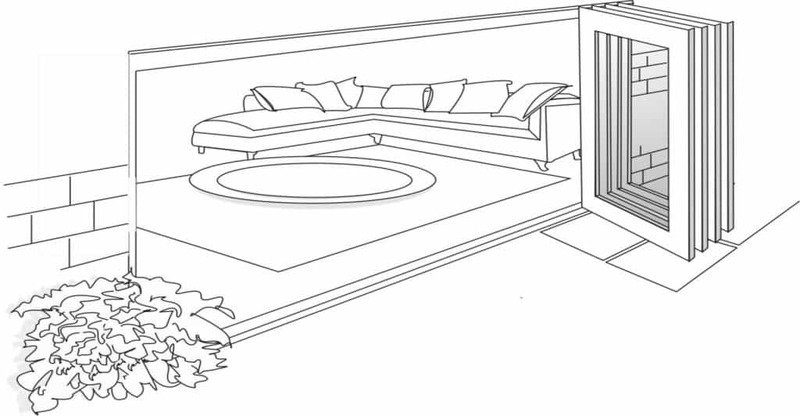 Our bi-folding doors come with all the assurances you would expect from a quality designed product. The aluminium profiles are designed to give strength and durability to ensure a structurally sound product that requires minimal maintenance and delivers reliable performance over a lifetime of use. 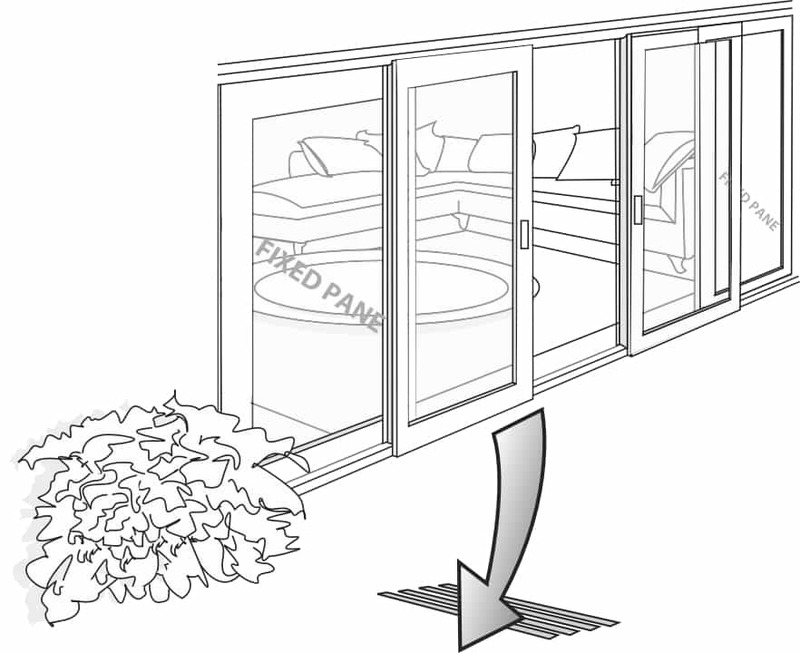 Test Valley Windows bi-fold doors open effortlessly, gliding on stainless steel rollers allowing unrestricted thoroughfares and the maximum use of space and light. The signature smooth contours and curved, clean lines create an attractive aesthetic that will complement any home, whatever your taste or style. Opens up the entire room, providing unrestricted panoramic views, creates a spacious experience, enhances the living environment, no element is fixed, every panel is movable to create the opening you desire. 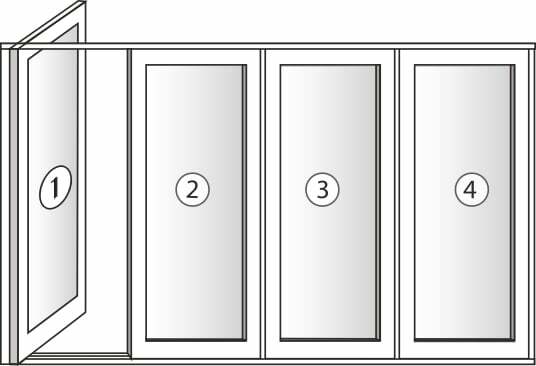 Every New Wave door set has at least one hinged master traffic door, which means that not all of the doors have to be opened making it more suitable for everyday use. Restricted views, smaller openings, only two doors open with fixed panes. 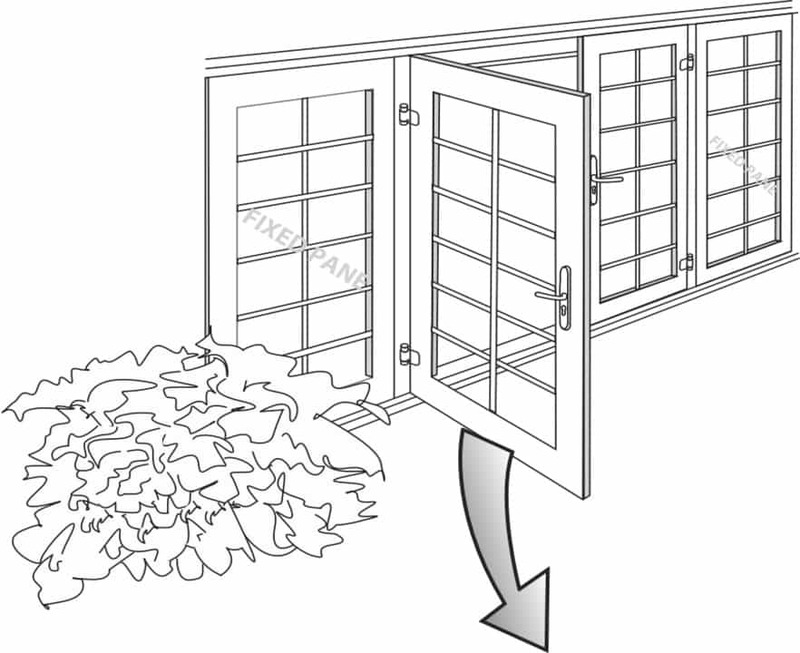 Access is restricted by the necessary fixed pane element. 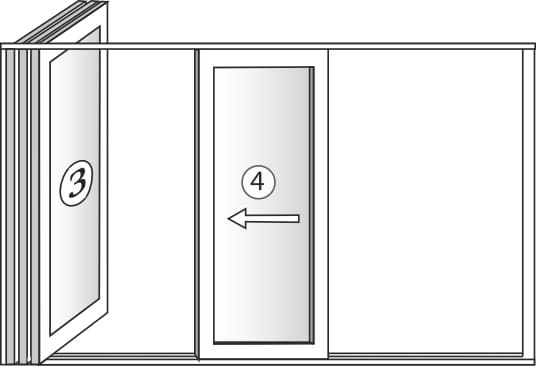 On a four pane door, New WaveTM Doors can be left open in any one of the following positions… you choose the opening! 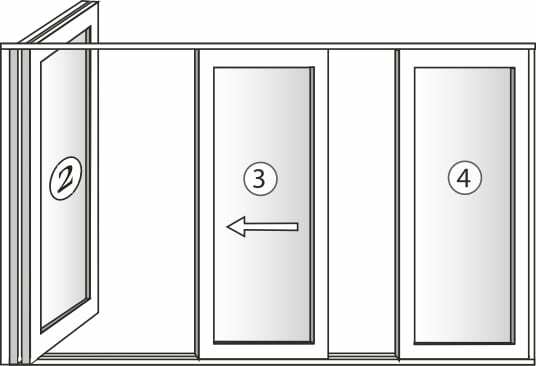 The first panel opens like a traditional door and can be on the left or right side of the opening. The second and subsequent panels slide up to the first panel and click into place. Each panel then swings open and stacks parallel providing full use of the opening.